A consultation with your plastic surgeon is the first step to learn how correction of gynecomastia can improve the appearance of your upper body and produce a more masculine chest contour. Also known as a correction of gynecomastia, male breast reduction surgery in Kansas City removes excess breast fat, skin, and glandular tissue to achieve a chest appearance that’s harmonious with your body, resulting in a more masculine chest contour. Gynecomastia may be the result of hormonal changes, heredity, disease, or the use of certain drugs. Contrary to popular belief, gynecomastia is not usually a direct result of excess fat. Gynecomastia can impair your ability to lead an active, confident life. Breast reduction surgery for men is a highly individualized decision and should be done to improve your own emotional and physical health, not to comply with someone else’s desires. If you’re ready to take the next step in your pursuit of a new appearance, request a consultation online, or call our office at (913) 451-3722. If you are seeking male breast reduction, you will begin the process by meeting with a doctor for a consultation. During this consultation, you’ll be asked many questions to ensure you make a good candidate for the procedure. Your surgeon will also discuss your health history, likely outcomes, and potential risks related to your breast reduction. A physical exam, lab testing, and mammogram may also be recommended prior to your procedure. In some cases, correction of gynecomastia may be considered a reconstructive procedure and can be covered, at least partially, by your insurance provider. 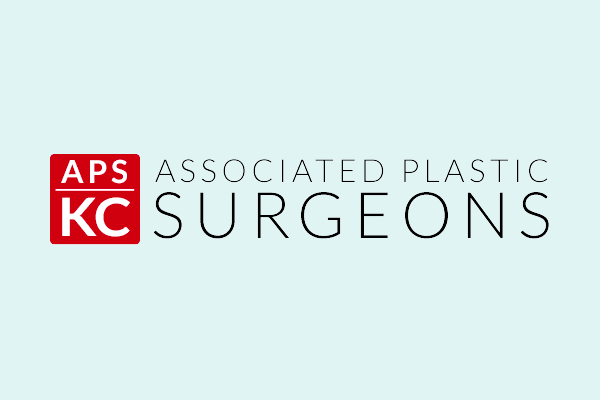 Your procedure will be performed at a licensed surgical center in the Kansas City metropolitan area. How do I know whether I’m a good candidate for male breast reduction? Though male breast reduction surgery can be performed at any point in a man’s life, postponing the procedure until he is finished growing will provide more favorable results. Adolescents may benefit from surgery, especially if the condition affects mental well-being, but a secondary procedure may be needed in the future if breast development continues. We recommend that our breast reduction patients be nonsmokers who are in generally good health. They should also have positive, specific, and realistic goals for the outcome of their surgeries. Following all of your doctor’s instructions is essential to a successful recovery. You’ll need a trusted loved one to drive you to and from your surgery, as well as stay with you throughout the first night. Discomfort is common following the procedure but can be managed with prescription pain relievers. An elastic compression bandage must be worn around the clock in order to minimize swelling and support the chest as it heals. Patient experiences vary after male breast reduction. Initial wound healing may take between 5 and 10 days. At that point, you should be ready to resume work or other everyday activities, though you’ll need to avoid heavy lifting or vigorous exercise for a few more weeks. Intimate activity involving the chest and most other activities can be resumed within 4 and 6 weeks. What are the long-term effects of male breast reduction? Healing will continue for several weeks as swelling resolves and your new chest contour settles. Though incision scars do not go away, they refine and fade in the months after surgery for most patients. Continue to follow your surgeon’s instructions, and attend follow-up appointments as they are scheduled. Will my new chest last forever? The results of breast reduction in men are long lasting in many cases. However, if drugs caused your gynecomastia, you must, under the guidance of your primary physician, completely stop use in order to maintain your results. Though some scars may be concealed in the natural contour of the chest, they will not go away. Your improved upper body will likely enhance your self-image and boost your personal confidence.